The limb holding sling is designed to prevent injuries to the caregiver during procedures in bed. It makes the patient more comfortable and stabilized during these procedures. it may be used with floor lifts as well as ceiling lifts. Limb holding slings are available in your choice of “standard” cloth polyester, “H” cloth, which is high-heat polyester that withstands temperatures up to 200°. “Mesh” a polyester material (for bathing). You may also choose “C” cloth a cool-heat polyester that withstands temperatures up to 167° and has a non-absorbent coating on one side for easy spot cleaning. 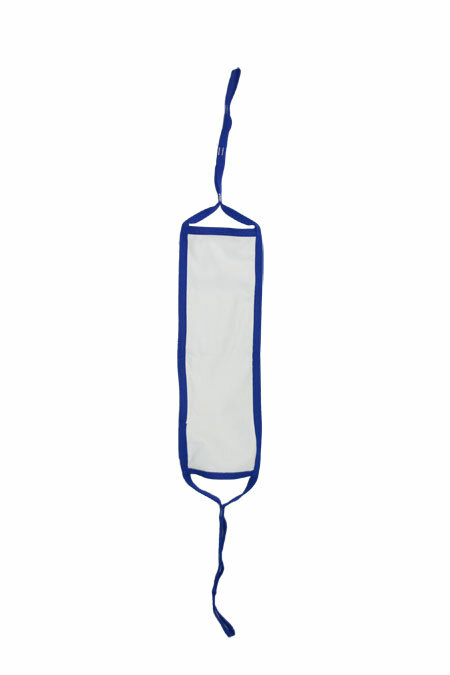 All slings and belts are also available in a disposable material to help with infection control and cross contamination issues. There are many different custom options available. Please contact LifeCare Asssociates to discuss your concerns and available options.